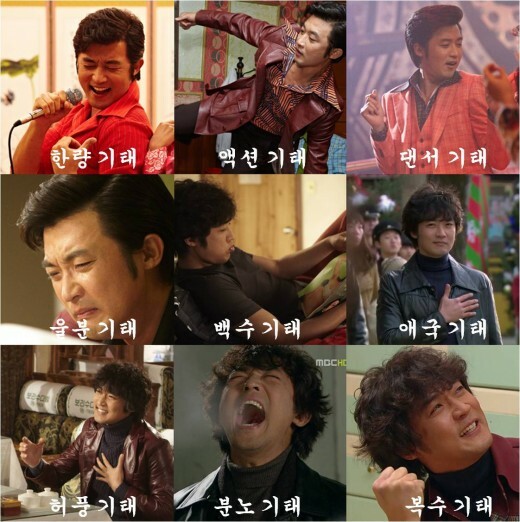 The set of 9 expressions of actor Ahn Jae-wook was made public. Actor Jae Wook who is playing the role Kang Ki Tae with vivid feeling is gaining popularity with the increased ratings of MBC’s Lights and Shadows. Staring from the naive wealthy son “dissolute Ki Tae,” to the recent “vengeful Ki Tae” who vows to revenge after knowing about the breach of trust incident by Myung Gook, and actions and speeches of Ki Tae in every episode will become a topic, discussed intensely by netizens. Expressions in the photos from left to right, top to bottom: Dissolute, Action, Dance, Furious, Horny, Patriot, Bluff, Angry, Revenge.